Sure, you could dash to the corner deli for a quick nosh, but why buy when you can BYO? Take a cue from the back-to-school crowd by skipping the stuffy power lunch for a homemade bento—just lose the She-Ra: Princess of Power lunchbox for something more grown-up, first. 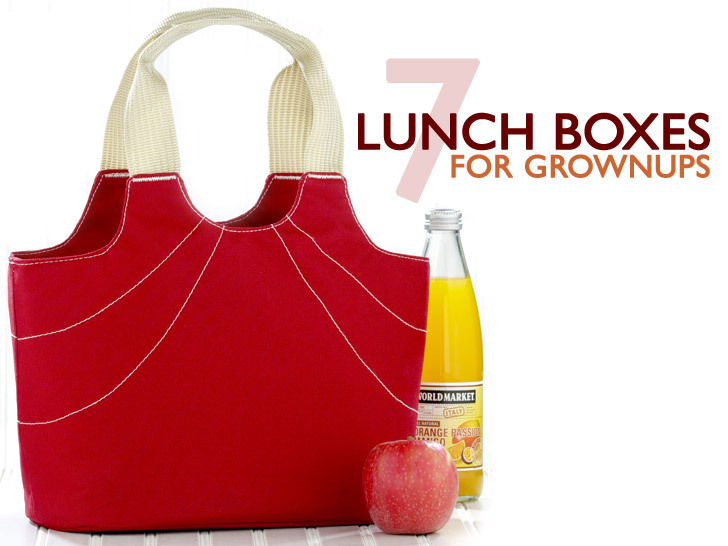 Above, World Market's "Anne" insulated lunch tote ($9.99) in red. With tartan primed to be one of fall’s key trends, Sachi’s “Lunchin’ Ladies” tote turns any break room into your personal runway. Clad in a wool-acrylic blend and topped with faux-leather handles, the satchel features pockets aplenty for flatware, keys, and business cards. 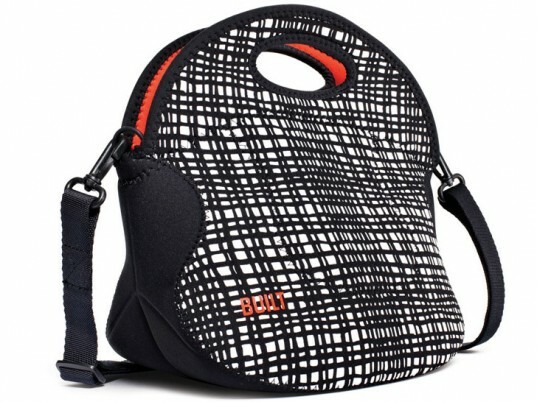 Dress up your sack lunch in Built NY’s ultramodern neoprene carryall, which stretches to accommodate your chow-down essentials with ease. An adjustable strap makes it a cinch to manage the load. Even last night’s leftovers take on a fresh patina with the elegant “Kate” lunch tote by Koko. Pieced together from satiny black nylon, patent handles, and a wraparound patent base, the lead-, BPA-, and PVC-free number includes a drawstring top to keep your goodies neatly corralled. A cubist treat for your eats in an assortment of delectable hues, Lug Life’s “Freight Box” lunch cube includes a hidden exterior bottle holder, pockets for your lunchtime gear, and shoulder straps for hauling around. Handmade to order in Utah, Carried Away’s modern-day lunch pail offers a heady bouquet of apricot blossoms, plus a layer of insulation to keep hot foods toasty and cold ones chilled. 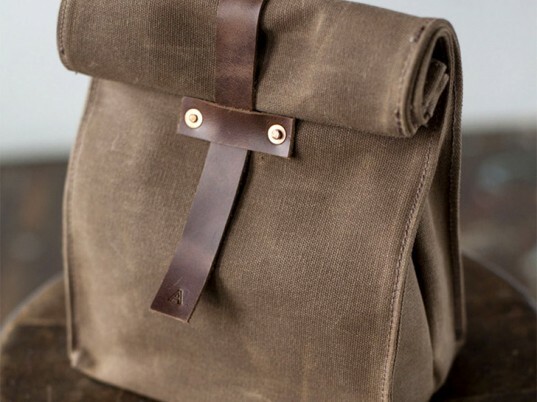 Military issue invades the lunchroom with Artifact’s olive-drab take on the brown paper bag. Fill ‘er up with freedom fries and victory cabbage—this patriotic holdall is handmade in Nebraska from American-made waxed cotton, Illinois-tanned Horween leather, U.S.-produced seam binding and thread, and hand-hammered copper rivets. 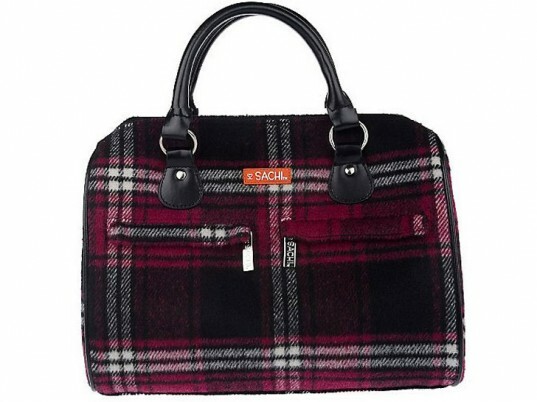 With tartan primed to be one of fall's key trends, Sachi's "Lunchin' Ladies" tote turns any break room into your personal runway. Clad in a wool-acrylic blend and topped with faux-leather handles, the satchel features pockets aplenty for flatware, keys, and business cards. Dress up your sack lunch in Built NY's ultramodern neoprene carryall, which stretches to accommodate your chow-down essentials with ease. An adjustable strap makes it a cinch to manage the load. 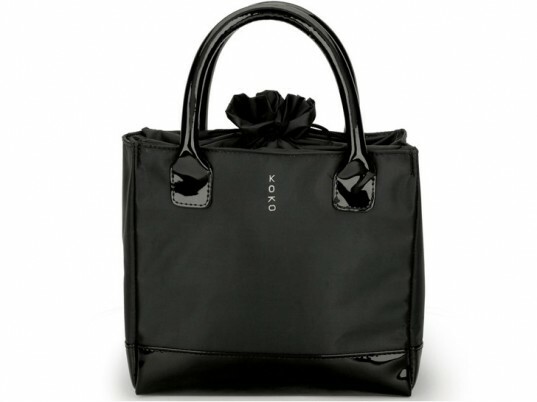 Even last night's leftovers take on a fresh patina with the elegant "Kate" lunch tote by Koko. Pieced together from satiny black nylon, patent handles, and a wraparound patent base, the lead-, BPA-, and PVC-free number includes a drawstring top to keep your goodies neatly corralled. 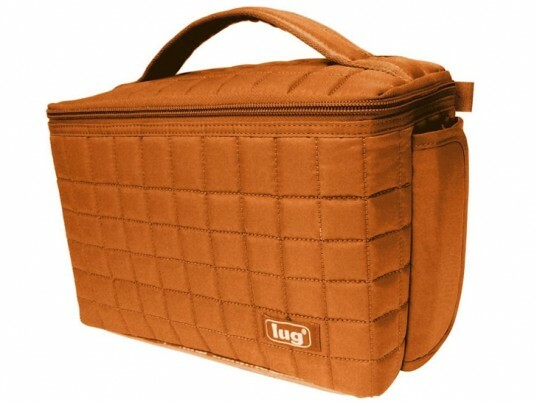 A cubist treat for your eats in an assortment of delectable hues, Lug Life's "Freight Box" lunch cube includes a hidden exterior bottle holder, pockets for your lunchtime gear, and shoulder straps for hauling around. 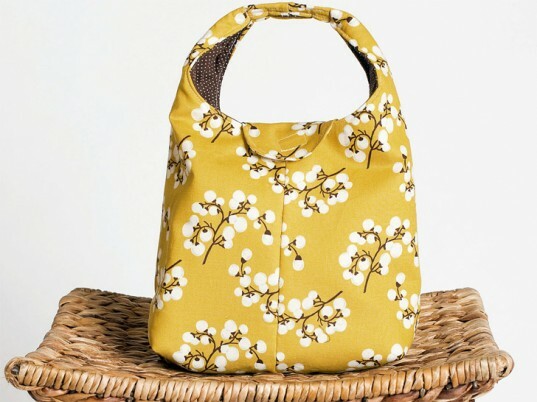 Handmade to order in Utah, Carried Away's modern-day lunch pail offers a heady bouquet of apricot blossoms, plus a layer of insulation to keep hot foods toasty and cold ones chilled. Military issue invades the lunchroom with Artifact's olive-drab take on the brown paper bag. Fill 'er up with freedom fries and victory cabbage—this patriotic holdall is handmade in Nebraska from American-made waxed cotton, Illinois-tanned Horween leather, U.S.-produced seam binding and thread, and hand-hammered copper rivets.